Xpand! is a free RTAS® sound factory workstation synthesis/sample-playback and effects plug-in that provides fast, efficient ways to access and manipulate thousands of high-quality sounds directly from within Pro Tools. Xpand! 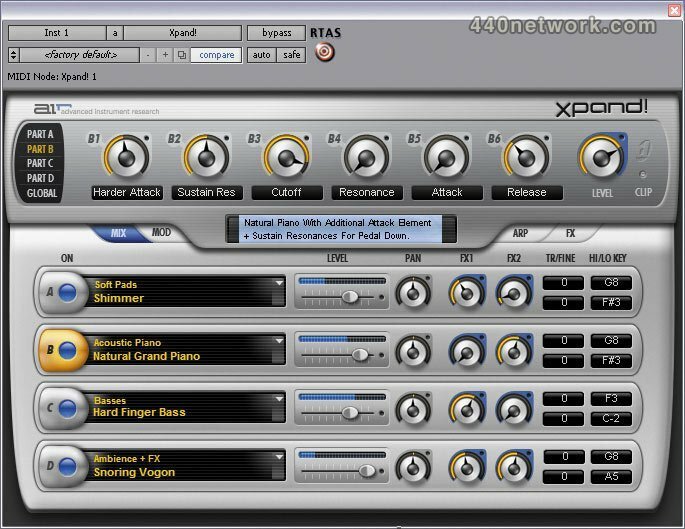 offers virtual analog, FM, and wavetable synthesis; sample playback; virtual tonewheels; and effects. Start with any of the more than 1,000 factory patches and then fine-tune the four component sound parts to craft anything from pristine-sounding acoustic instruments to complex synthesized soundscapes or loop-driven techno tracks. 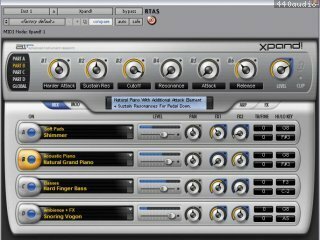 Built for songwriters, film composers, DJs, electronic musicians, music producers, and sound designers, Xpand! is a sonic powerhouse that will become an indispensable component of any Pro Tools® environment. Pro Tools system running Pro Tools 7 or higher software Xpand! v1.0 The full version of Xpand! v1.0 must already be installed from the Xpand! installation CD. Universal Binary for Intel-based or PowerPC-based Macs, for Xpand! 1.0 or 1.0.1 users with Pro Tools LE 7.1.1 or Pro Tools M-Powered 7.1.1 for Mac OS X 10.4. Analog Delay. Tel-Ray Variable Delay is a plug-in which provides lush delay, amazing echo, and warms up your tracks and mixes.